Home / Health / Soda: Diet or Not? Soda and sugary drinks are everywhere: stores, schools, and even gyms. We are told to steer clear of sugary drinks like soda because they are empty calories. Enjoying a refreshing soda once and awhile will not greatly affect your health, but once sodas become a commonplace refreshment, the health problems they cause can drastically magnify. Because sugary sodas contribute to an unhealthy body, many people are turning to diet drinks that are supposedly better. Non-diet drinks are preferred by many people because they claim that diet drinks have a distinct strange aftertaste. Some people avoid diet drinks because they contain artificial sweeteners. Diet drinks are purchased mainly because of their low calorie levels. Dartmouth University researchers found that artificial sweeteners are 600 times sweeter than regular sugar. Therefore, smaller portions of sweeteners can be used, resulting in a low-calorie diet drink. Drinking diet drinks to replace sugary ones can cause short term weight loss due to a sudden drop in calories from beverages. On the other hand, Harvard researchers say that our bodies have a way of telling how many calories are put in our bodies by how the food or beverage tastes. Since diet drinks have the same sweetness as non-diet ones, our bodies have the false impression that the diet drink is high in calories. This causes our body to want to intake more high calorie products, which may cause people to gain more weight in the long run. There are many different opinions about which type of drink is better. The University of Miami tracked people who drank only drank diet soda for nine years. These people were 48% more likely to have heart attacks or strokes. Though the researchers emphasized that these likelihoods cannot be directly linked to diet drinks, it does raise some suspicion as to whether diet drinks really do cause these health issues. Diet drinks have also been found to possibly reduce the production of a chemical known as brain derived neurotrophic factor, which could affect one’s memory and learning formation. 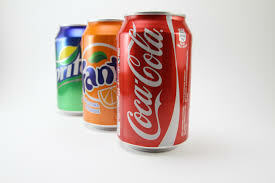 Studies have suggested that regular soda can increase the risk of heart attacks by 20% for those who drink one can of soda per day compared to those who drink none. Soda is delicious, and most of the time we can’t resist to drink it. However, the costs of drinking too many sugar drinks may help you consider whether or not you really want to drink another can. A can of soda every once in a while won’t hurt, but drinking it too much will negatively impact you in the long run.